You know the word “rogue” as a noun and adjective, and probably from when Sarah Palin “went rogue” during her time as vice presidental candidate. But you may not know that it also a verb. That’s the way I use it most often. I rogue plants and I complain — often — about seed producers not doing enough roguing. To rogue means to weed out inferior or off-type plants. It is a critical part of producing and maintaining seed selections of plants. Whenever you are growing fields of plants for seed production, be it tomatoes or zinnias or corn, you get off types. Chance mutations, seedlings produced from errant grains of pollen from another variety, or just change of the diversity within the population. So one has to rogue — walk through the fields and pull out flowers that are the wrong color, corn plants that aren’t yielding enough, all the unexpected variants to keep the variety true to type. The annoying thing is that a lot of seed producers cut corners — particularly, it seems, for annual flower seed — and don’t bother. The results can be very frustrating. The worst are flowers in mixed colors. Maintaining a good mix of multiple colors requires careful roguing to ensure one color — due to greater vigor or just chance — doesn’t come to dominate. Lots of companies just don’t seem to bother. Last year I bought a packet of Zinnia ‘State Fair’, an old, and wonderful seed strain, which was supposed to come in the full mix of zinnia flower colors. I got pink. That’s all. Just pink. My whole row was pink. 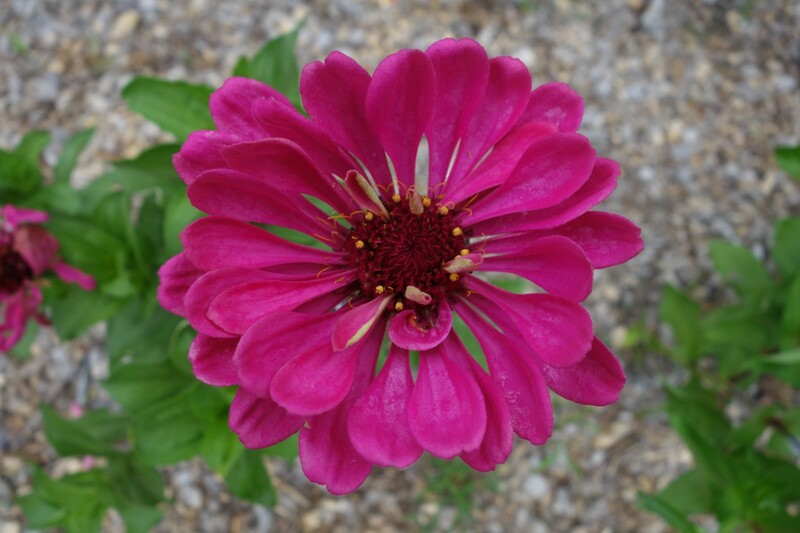 Not my favorite color of zinnia. Clearly the pink plants slowly came to dominate the fields of whoever is producing these seeds, and instead of roguing out some to bring the color mix back into balance, they just let them go rogue, and I got stuck with just one color. 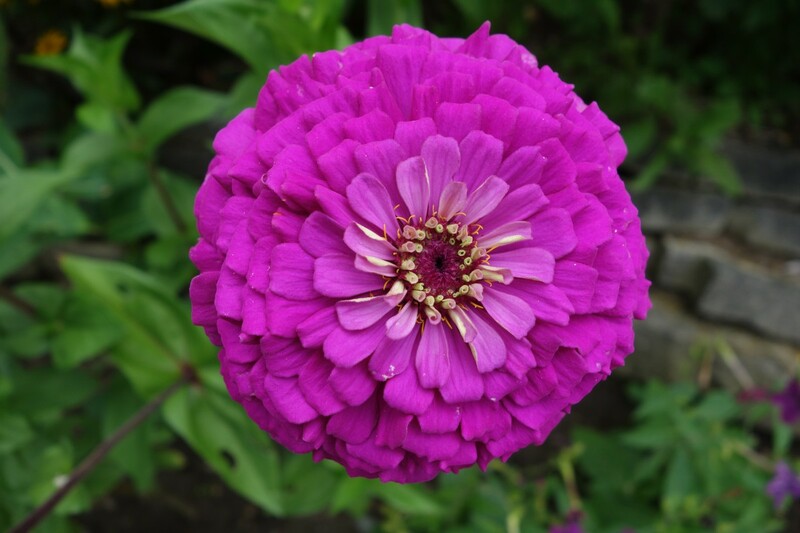 The ‘State Fair’ zinnias were also supposed to be double, like this. They weren’t. Single flowered forms will almost always come to dominate seed strains unless rogued out because they’re easier for insects to pollinate and thus tend to produce more seed. Clearly no one bothered, because every plant I sowed out gave me just a single row of showy petals. I’ve had similar experiences with countless other varieties of seed annuals. The picture looks great on the packet, but sow them out and mostly what I get are rogues, not the variety I was after. The lack of roguing is a plague… bad enough that a friend in the horticulture industry once mentioned casually to me that, of course, cosmos varieties are only worth growing when they are first introduced. A few years without good roguing, and their desirable characteristics are mostly lost. So more roguing please. I love growing big blowsy annual flowers from seed. I’m tired of them all going rogue. Another reason to save your own seed? I remember the high school boys making good money in the summer “roguing maize”, i.e. pulling out the too tall plants so the harvester could make a clean cut. A rant about roguing! I love it. I never knew that rogue can be used as a verb. Thanks for the lesson.